Weaving is very popular for home decor, it brings a relaxed, cozy and sometimes even boho feel to the space. 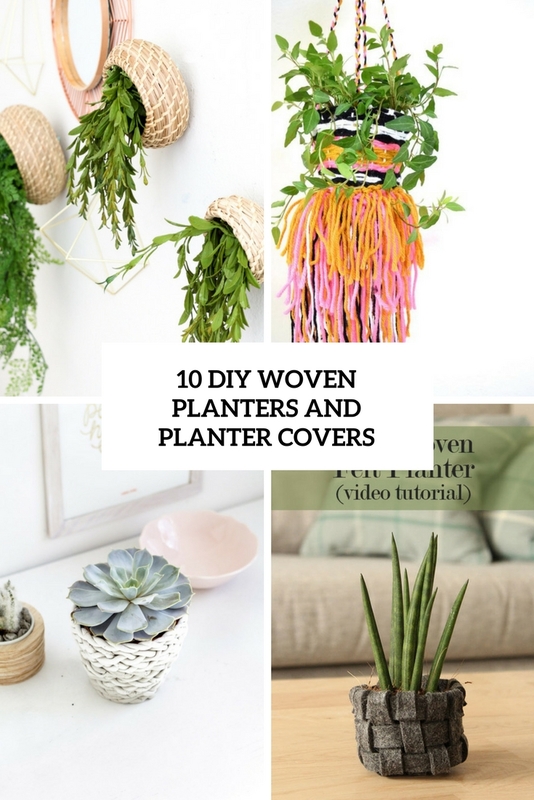 We’ve already shared some weaving decor ideas, and today I’ll continue the topic with planters and pots of various kinds – here you’ll find baskets and yarn weaving, too! 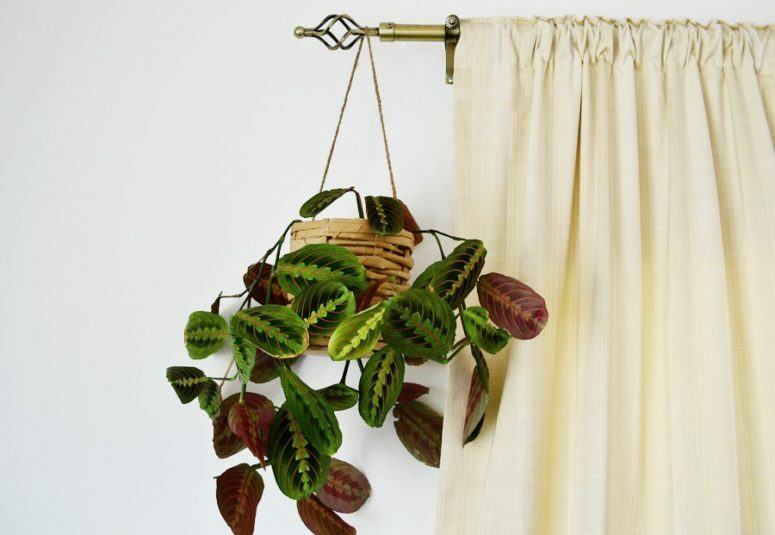 This amazing planter is made of woven felt! Yes, you’ll have to take some felt and weave yourself! It’s not that difficult as it seems, and the result is amazing! Such a planter will fit any modern space and a masculine space, too, especially if you prefer dark colors of felt. This is a tiny woven pot made of waxed linen thread, which means that the piece will be more durable. 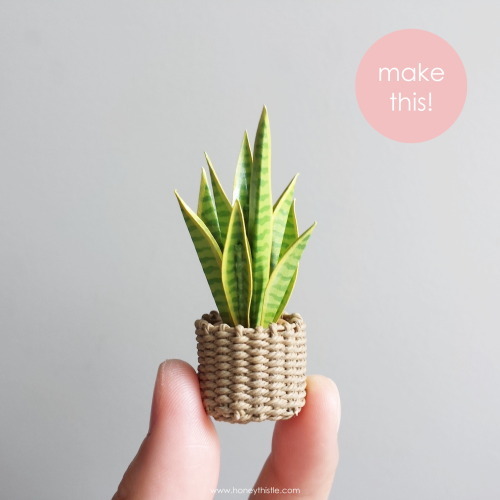 Such a tiny piece is great for some succulent or herb, which doesn’t require much space, and it will be a fun green spot on your table or windowsill. 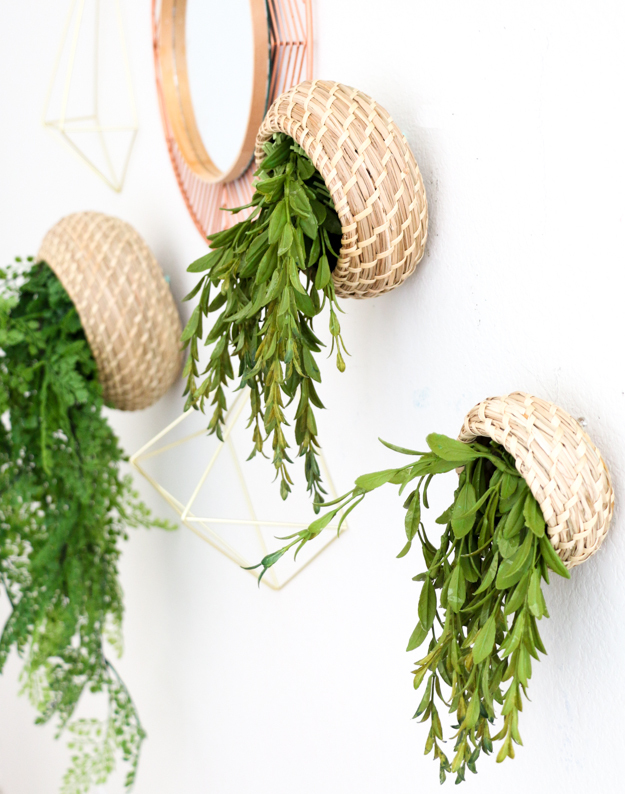 Here you won’t find out how to make these baskets but we’ll craft amazing hanging planters of Fryken Ikea basket trio! Hanging baskets are very popular as they save much space and keep your blank and boring walls filled and refreshed. Find out how to attach them to the walls securely and create your own wall garden. 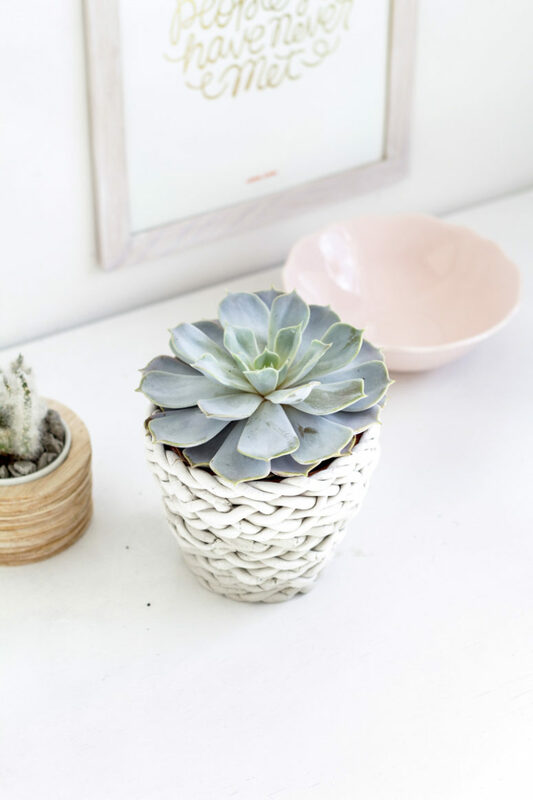 Turn an old fruit basket into a fun woven planter! 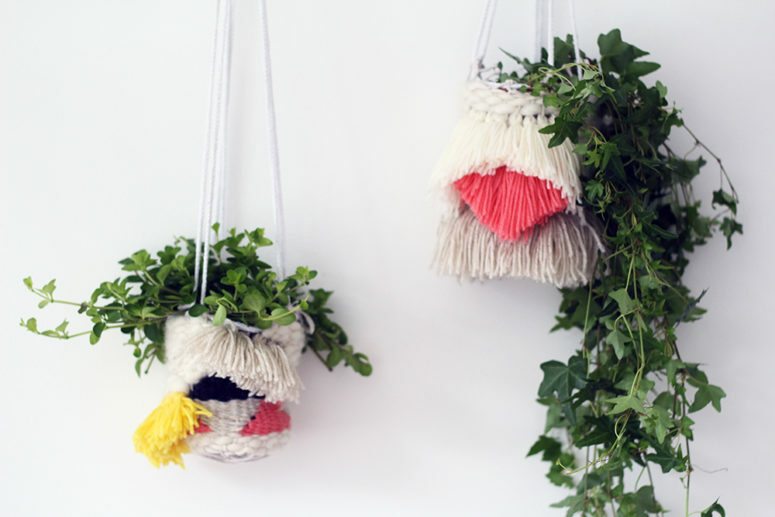 spray paint the whole piece, then weave with super chunky yarn and attach a chain to make the planter hanging. The colors are totally up to you and the effect you want to achieve. Get inspired! Here’s one more IKEA hack! This tutorial will tell you how to weave some planters of IKEA paper bags – unbelievable but yes, it’s true! 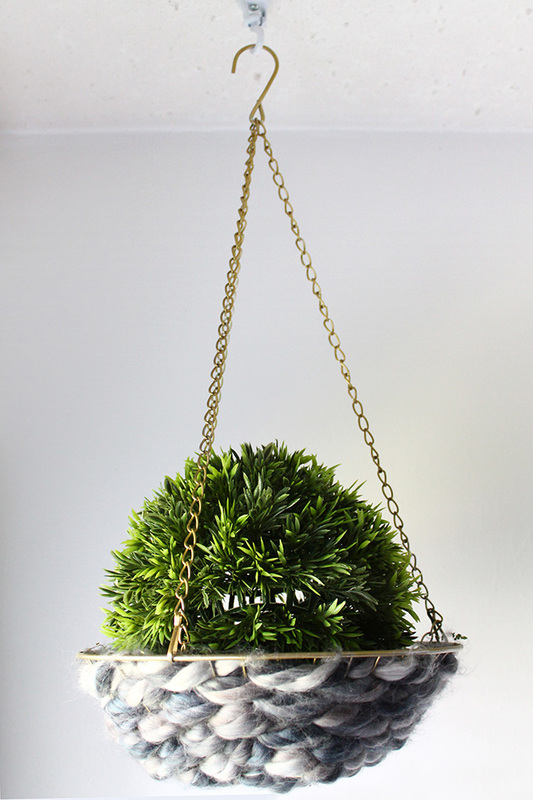 You’ll weave around a usual plain plastic container to give it a more nature-inspired look, almost like a basket! Hang the piece on some jute twine, and voila. This isn’t exactly a planter but a cover for it, and that’s comfy – you can change any planter you like any time. You’ll need to make a wire frame first, and then weave with some yarn you like around it. Any plain planter or plastic container can be changed using this idea – make as many as you need! If you like weaving, you’ll definitely like this basket-style planter cover! The piece is made of clay and is woven around a usual planter. Take air dry clay and start making braids to cover the whole planter – find more details about this craft in the source. 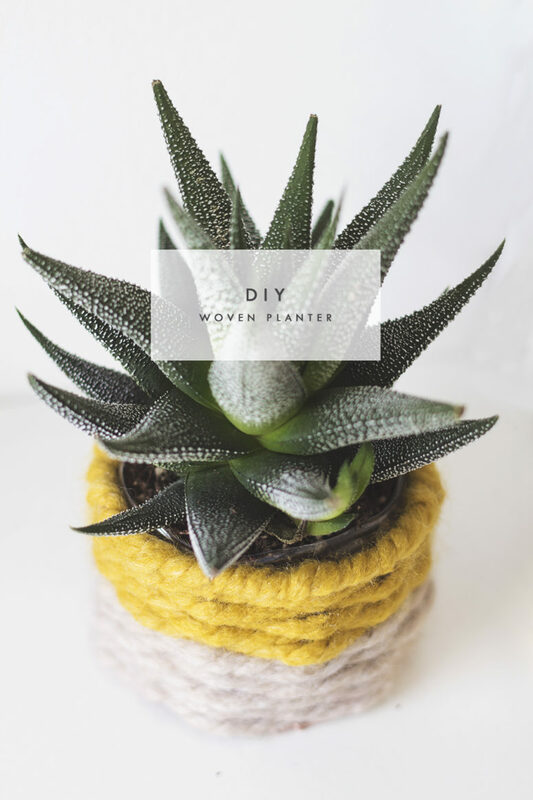 Leave it as it or paint it somehow – your plain planter is turned into a stylish woven one! 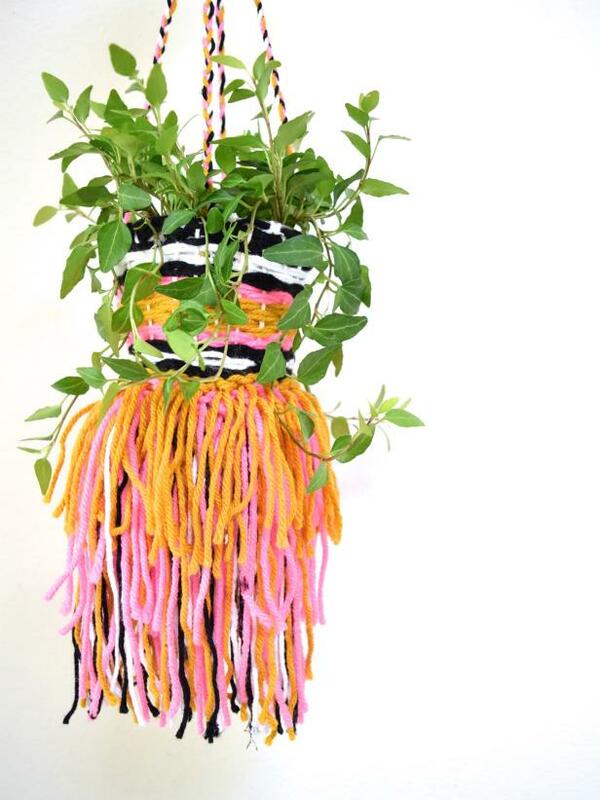 Here’s one more woven planter cover, this time of colorful yarn. 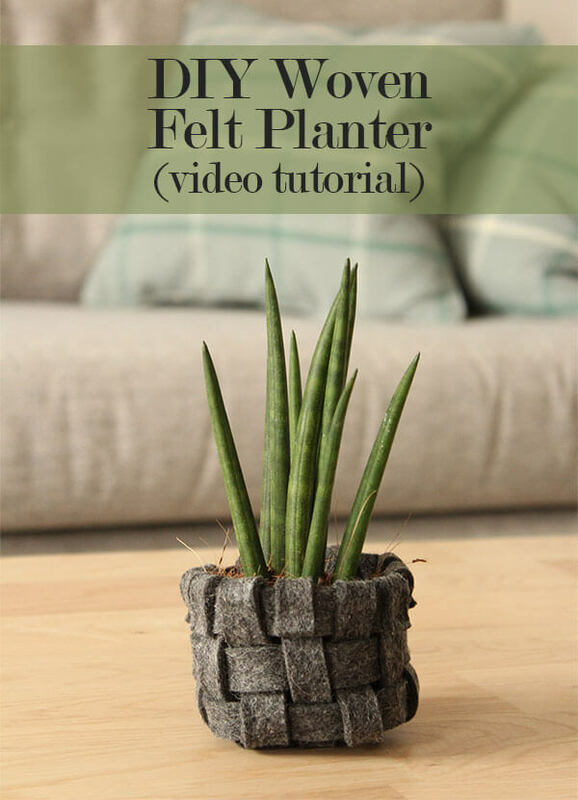 You won’t need any special skills, just weave around a usual planter as in the video tutorial, and that’s it. Add long colorful fringe and tassels for a cool boho chic feel and hang the piece where you like. Enjoy! Like hippie and boho decor? 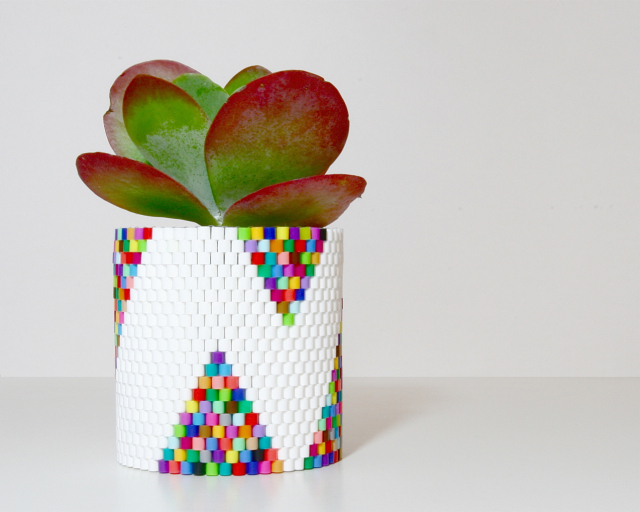 Then you’ll like this woven bead planter for sure! It’s made of beads – white and colorful ones, and features some simple geometric shapes. Weave with beads as in the tutorial or go for your own cool patterns of them – go wild! I totally love this weaving tutorial because of the fun colors and colorful fringe and tassels it features – it’s a perfect match for a boho chic interior. Follow the instructions to make such bold and fun planter covers and hang your planters to add a colorful boho touch to your space.